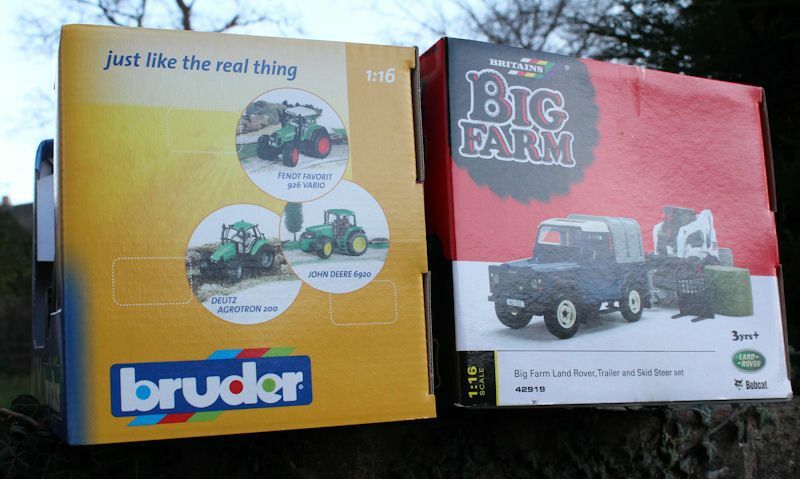 We take an in-depth look how well Bruder and Britains Big Farm measure up against each other, and which brand offers the best features among their 1:16 scale tractors. Sit a Bruder and Britains Big Farm tractor side-by-side and there will be little difference between them both. They're the same size, measured in 1:16th scale, and replicated on real life toy tractor models from manufacturers such as John Deere, Case IH and New Holland. But as we take a closer look you'll find there's little difference between the brands as we discover which of the two rivals come out top. This comparison will assist you in making the best decision when buying a 1:16th scale tractor from Bruder or Britains own Big Farm selection. View our chart below to see how the two compare in features with a simple tick (yes) or cross (no) structure.